Happy Mothers’ Day to all of you who are moms, aunts, grandmothers, people with moms, pet moms! Here’s a special Mothers’ Day edition about Fiasp! 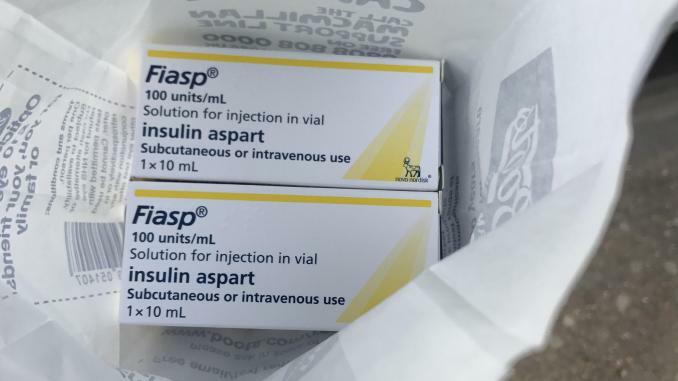 FIASP is not the most creative branding (sounds like a variety of wasps? ), but the name certainly fits. Whether it will carry a new brand name here States when launched remains TBD. Internationally, FIASP is available by vial, Penfill, and FlexTouch insulin pen. In Europe it’s approved for insulin pumps but not in Canada. Here in the U.S., Novo tells us FIASP will only be available in pen form. 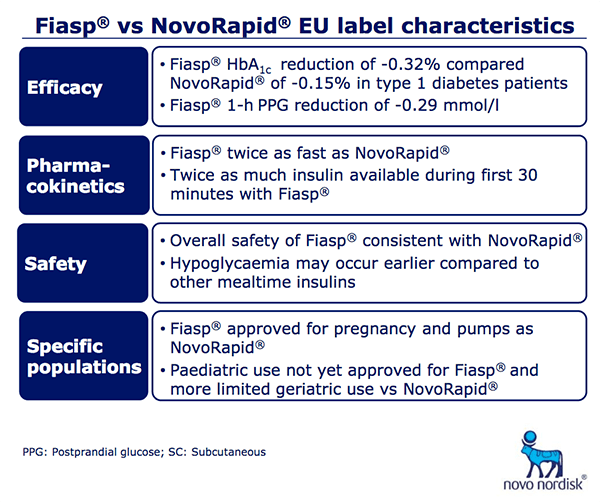 It’s twice as fast as regular NovoLog or NovoRapid. Getting into the science, that’s because two “excipients” have been added to FIASP’s formulation — Vitamin B3 (niacinamide) to increase the speed of absorption, and a naturally occurring Amino Acid (L-Arginine) for stability. Data also show that patients lowered their A1C levels. I remain a bit skeptical. If it is a real (2 x speed) acting insulin then it is an impressive opportunity. If it is an incrementally fast insulin then well ok but no cigar. We need ultra fast acting insulin, we do not just faster-acting insulin. Time will tell for certain. I hear good things but mostly about the immediacy of action … first 1/2 hour. I’m willing to try!